I was reading through Leana’s uuuhmazing blog on Wednesday morning and I came across this super cool idea for a post, so I thought I’d try it out too! 1) Whenever it’s thundering or lightning, I run straight to my mother and hold on to her like there is no tomorrow. I don’t know if it’s due to the element of surprise that I’m scared, because you never know when it’s going to strike..it’s just like BAM!!!! But yeah, I’m scared😔. 2) I can’t drink from a glass or eat from a plate without washing it 5 or 6 times. Perhaps I suffer from a mild case of OCD, but I’m not sure..
3) I love tea. I simply can not let the day go by without having 2 or 3 mugs (yes, mugs. Not teacups!) of steaming hot tea. It’s just so delish and calming. My ultimate destresser❤️. 4) Growing up, I always wanted to be doctor, a pediatrician actually, but I couldn’t study Medicine due to the fact that I can’t touch people nor can I stand the sight of blood. I know, total fail. 5) I prefer to keep the face-to-face convo’s with people, that I’ve just met, very, very short. I’m not unsociable, I just don’t like being stuck in awkward situations – you know, when you standing there and you just awkwardly look at each other because you have nothing more to say, and then either you or the newbie finds an excuse to get out of this awkward sit? Yup, that’s what I like to avoid! 6) I’m afraid of dogs. Even puppies. They’re cute and alles, but I can never, ever bring myself to carrying them or petting them. They might bite or scratch me! 8) Chocolate causes my acne to flare up, so I only eat it once or twice or month. 9) I have this weird hatred for round-toed pumps, I feel as if it cuts my feet off. So I only wear pointed pumps or the Aladdin-style slipper/shoes. 10) I bust my head when I was around 4/5 years old. It actually wasn’t my fault though, my sister, Naz and I were fighting and I don’t know how, but I ended up bashing my head against the corner of the pillar. Yup, total ouch. Aaand that’s it! 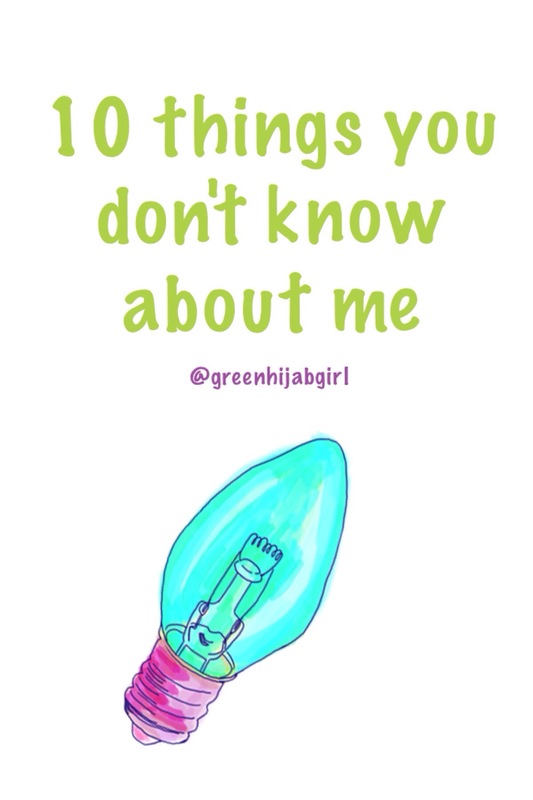 Now you know 10 extra things about me, yay! Awww, im a tea lover too!! Cant get by a day without my black, bitter ROOIBOSSIE!